Developed for high performance axial movement by ball/roller guide way, high response on feed system and higher spindle speed with 10000rpm or more. Well arrangement for light alloy material cutting and aluminum application. 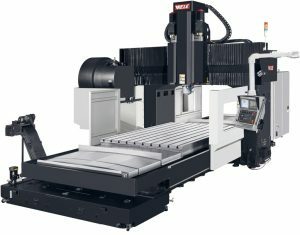 Y axis available to up to 650mm & X axis available to up from 1200mm thru 1600mm. 48m/min fast feed movement is to provide high response on this field. Available in 65, 80 and 90 models with varying Y axes travel. 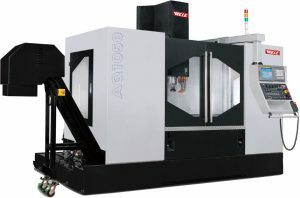 High speed and general machining purpose. 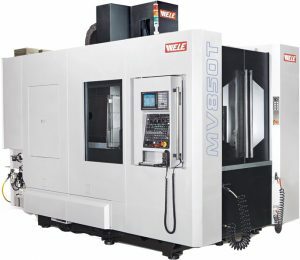 VQ machine is suitable for aluminum parts machining. Max. rapid feed up to 24m/min. 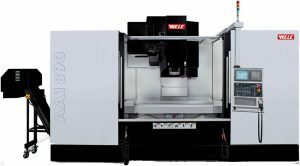 Z axis boxway design for VB machine. Bridge in one piece design. Models available with varying axes travel limits. Z axial dual servo driven simultaneous system. 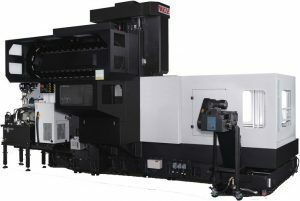 X, Y axial driven system which consists of ball screw stationary and servo motor with rotating nut to reduce vibration and keep high reliable dynamic accuracy. 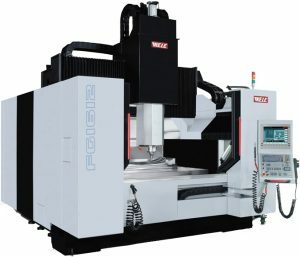 12k rpm built-in spindle with Max. torque 239Nm (11/15kW) as standard. 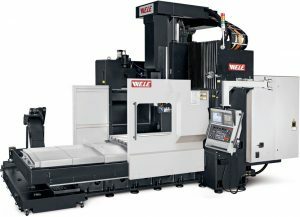 The WELE FG Series consists of machines with varying X travel from 700mm to 2000mm, Y travel from 750mm to 1200mm and Z travel from 500mm to 720mm. 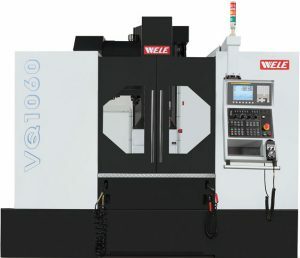 WELE MV850T. X / Y / Z axis travel: 800 / 500 / 810.